Throughout my semester I’ve had the privilege of attending class at the Brooklyn Historical Society. 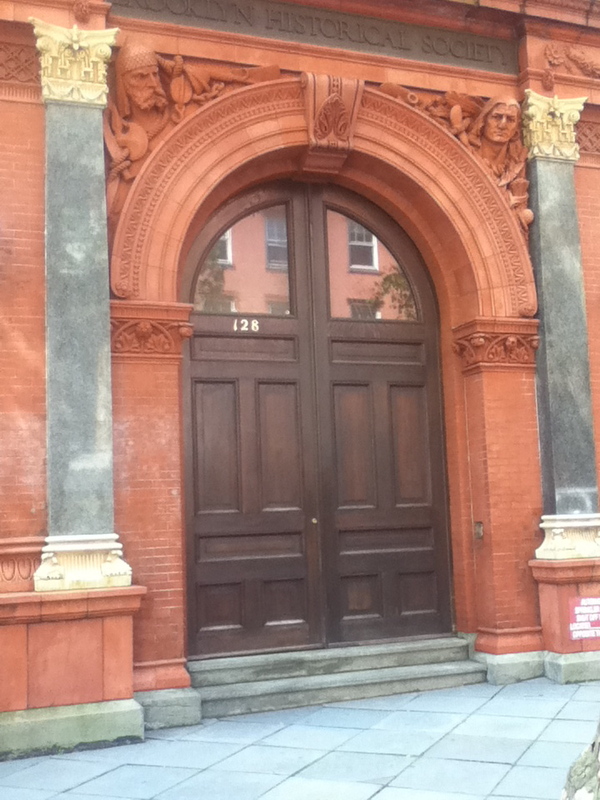 The Brooklyn Historical Society is a museum and library that help us gain more insight into Brooklyn and its history. It grants us access to all sorts of documents, first and second hand. These documents range from letters and newspaper clippings to maps and atlases and even digital versions of all these resources. Going to the Brooklyn Historical Society can help anyone in their investigation and promote more research within any topic. 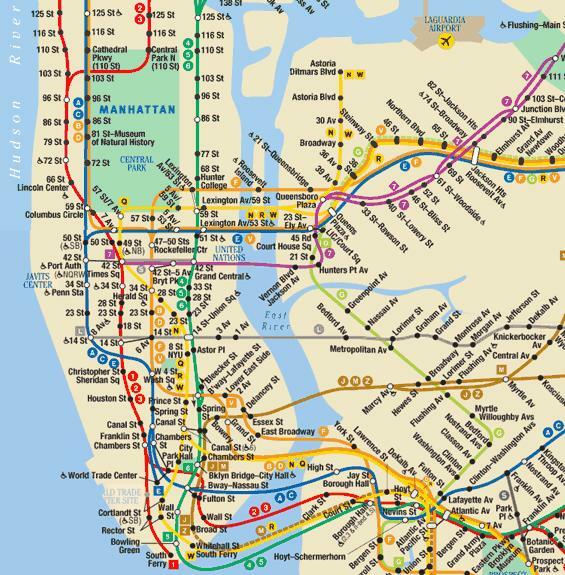 It helped me and my classmates with our research on Brooklyn and the shaping of urban spaces and it can certainly help any individual with a knack for research. 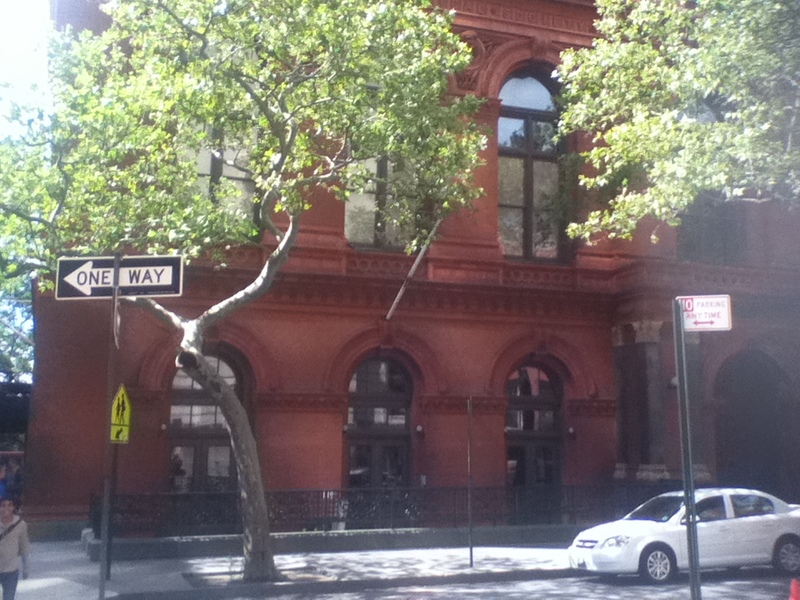 Visiting the Brooklyn Historical Society is enchanting to say the least. 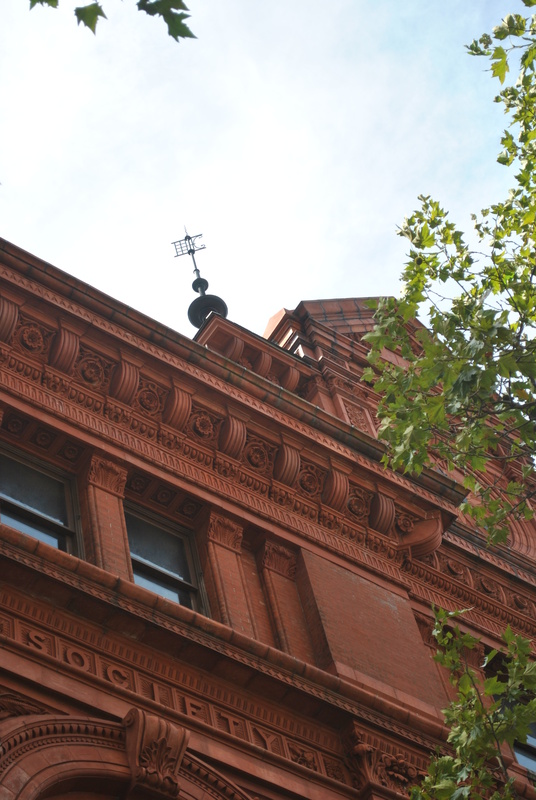 The building’s exterior is all red brick, differentiating it from the rest of the buildings surrounding it. Even at a distance it is very noticeable. Looking closer you can see several head sculptures along the sides. Clearly, they were there not just for aesthetic purposes, but also to give the building a more historic vibe. It is also a very comfortable place to be in. When I stepped foot inside I felt at home. The librarians were very friendly and the interior of the building was as welcoming as the exterior. The colors and materials used were meant to make visitors like me feel just that, welcomed. This library felt especially great to be in. Like one of my classmates said, the library made me want to read and investigate. The first document I had access to in the library was a first hand letter written by Lucille Kolkin whom we’ve been reading about (“Brooklyn Was Mine” by Jennifer Egan). She was an average woman living in Brooklyn during the 1940’s. It’s amazing how one insignificant piece of paper can be so intimidating. My first thought upon seeing the letter was, how is it the general public can have access to this? I quickly realized I was lucky enough to see it. Reading Lucy’s script was tedious but we got through it. Lucy’s letter wasn’t all that different from what any other person would write. Her letter was relatable. At least to me it was. I think it’s safe to say my classmates felt the same. After more visits to the Brooklyn Historical Society, I started gaining some knowledge and experience in research and investigation. My class started to look up the Brooklyn Theater Fire that took place on December 5, 1876, an accident that ruined and destroyed many lives. The fire brought the death of over 278 individuals. Not only did I learn about the victims and the many deaths that took place, but also how this affected the victim’s families, like a chain reaction. 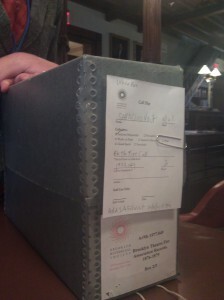 My group looked over documents with information about the victims such as general income, age, and dependents they had. Generally, all the victims had a family they were providing income for. Left behind were, elderly parents, and young children with no means of supporting themselves. Seeing these documents firsthand, some of them handwritten, is very heart wrenching and a lot more personal. I started piecing all the information I had so far. The Brooklyn fire helped us learn more about the shaping of urban spaces. As an architecture student, I slowly started to relate all my classes together. Ultimately every visit to the BHS is as enlightening as the last. The librarians were welcoming and informative in every visit. Another major resource the Library has is the database. The database is filled with about eight thousand pictures and digital versions of archived documents. Searching through these files can be a very difficult task if you don’t know how to search right. Any one who might want to search in the libraries database wouldn’t run into the most user-friendly interface. You have to know what you’re searching for or if you’re browsing, what you eventually want to come across with. Although the database may be a little clunky to use, it proved to be a useful and convenient tool for research. In addition to using the library database for research, another great resource available are the atlases. We dedicated one entire class to atlases and their uses. 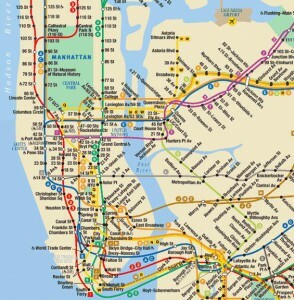 Like the database, we came across a few hiccups while looking for the maps of Brooklyn. That’s not to say that these maps were useless and inconvenient. Even the hiccups we came across helped us understand our topic a little more. Ultimately, when doing research, you have to know what to look for and how you want to look for it. After several visits you can start piecing together everything you’ve come across with at the Brooklyn Historical Society. Every bit of information complement each other. Sometimes one resource leads you to the next. For example, when I was looking through Lucy’s letters, she mentioned the Brooklyn Navy Yard several times. I decided to look up the navy yard in the maps and atlases. Not only did I find the Brooklyn Navy Yard, I also found different maps showing all sorts of information about Brooklyn. 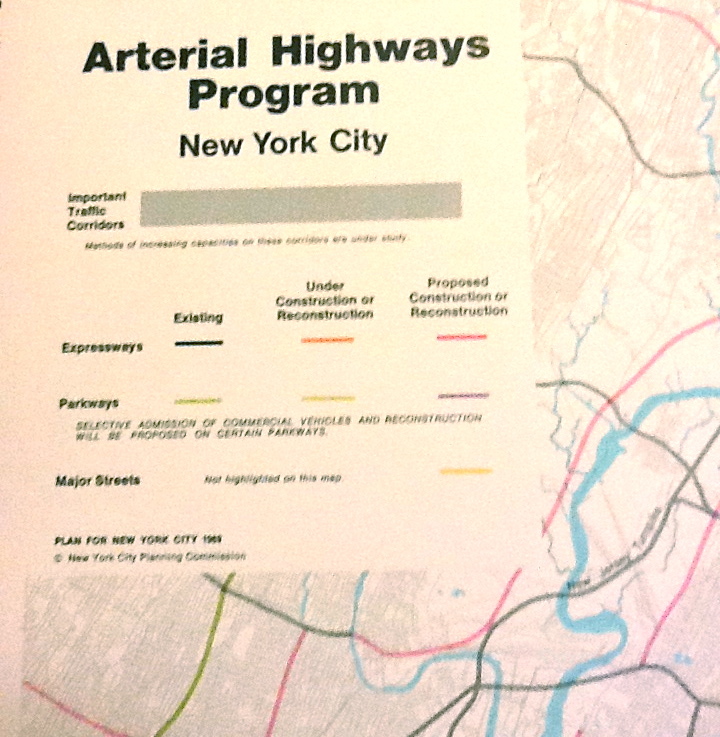 I found maps that showed the population density in Brooklyn, maps that showed where the hospitals and markets were, and even maps with the transit system as it was back in the day. Research doesn’t need to stop at the library. 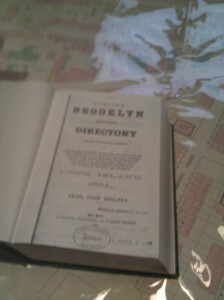 Through www.brooklynhistory.org you can have access to some of the documents in the database. Archives, manuscripts, oral histories, photographs, and more are at your disposal from your very own computer. This makes everything more convenient. 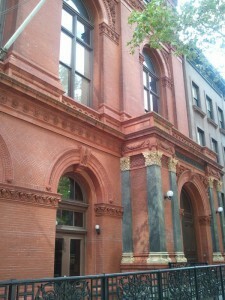 This can help you prepare yourself before your visit to the Brooklyn Historical Society. 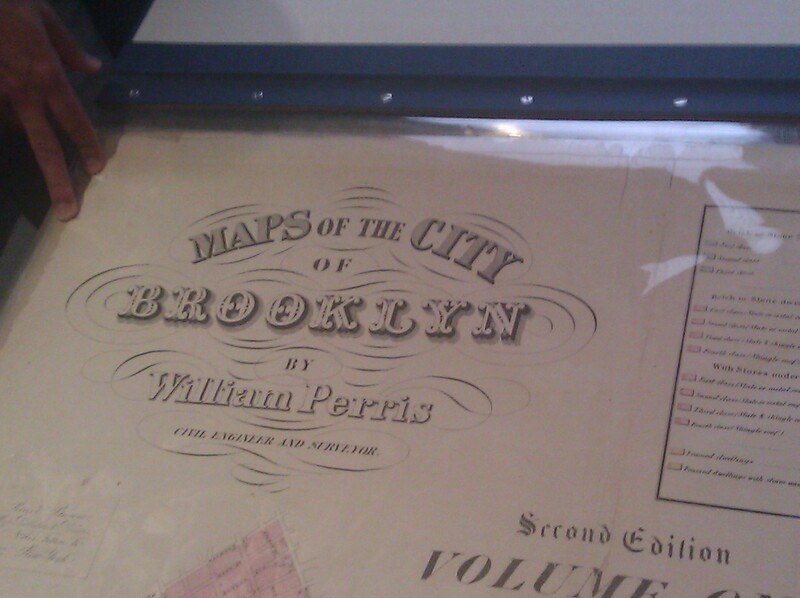 I really enjoyed my last visit to the Brooklyn Historical Society. It was the last visit as a class but I’ll be sure to go back again and visit Gabriel Furman’s papers, another very interesting brooklynite I came across with. 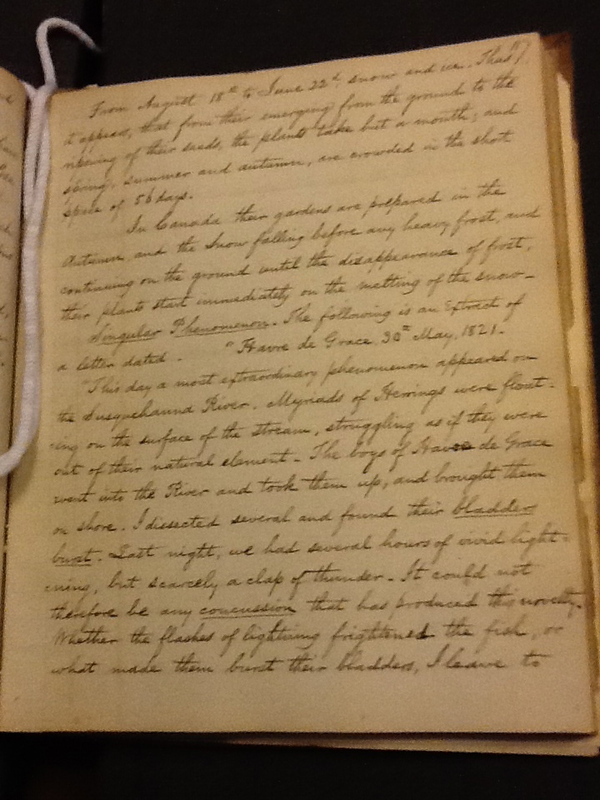 His journal had everything ranging from the natural disasters, diseases, remedies, and even alcoholic drinks. He wrote about anything and everything that seemed relevant to him. The journal is very similar to modern day blog posts. He has them dated and the BHS librarians conveniently had an index of sorts prepared to guide us through the pages. Maybe it’s the peculiar remedies he has, or maybe its the massive amount of information in his journal that have me wanting to go back. Whatever it is, I’ll find it on my way back to the Brooklyn Historical Society. I would recommend going to the Brooklyn Historical Society to anyone who is even mildly interested in doing some research or gaining knowledge about Brooklyn and the history around it. Some writers might say that writing proper essay structures and having seamless transitions in your writing is important for any paper. I would agree and add that the actual research and how you research plays a very important role in composing an essay. Go to the Brooklyn Historical Society and give yourself more knowledge about Brooklyn and the stories that follow it. 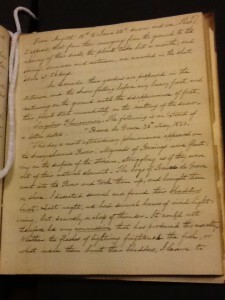 Notes and Memoranda, volume 6, circa 1831- 1832; Gabriel Furman papers, ARC 190, Box 2, Folder 2, Brooklyn Historical Society. In the emerging technology of Internet base, files hosting methods such as “Drop box” that only focuses on the storage and preservation of data context becomes more permanent in our lives. The interaction and archival process with more physical objects or space such as the OWS [Zuccotti Park] represents a challenged in what is the proper method of archiving physical space. Drop box like many other Internet base file hosting sites, is a clear representation of technology (in this case the internet) to be incorporated in our daily life, making the process of file sharing and archive accessible to everyone. According to Drop Box’s website (http://www.dropbox.com) the beginnings of the company date’s since 2007, which represents the beginning of free files host wed sites. The great idea behind a files host website, is that any one can upload as well as share folder (via emailing or linking folder within other user) that can contain context ranging from images to videos. Converting the stored context into a personal archive, which digital context stored will be value of great importance to the person who chooses this method of archiving context. 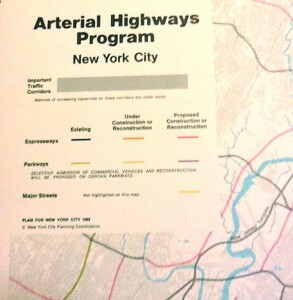 •	Maps of the Future of New York City, Brooklyn Historical Society. The Brooklyn Historical Society, which is an institution dedicated to the conservation of New York city history but more specifically the history of Brooklyn, host like Dropbox many files but, the difference’s is that in The Brooklyn Historical Society; the institution host physical files including letters, journal, photographs and maps that because of the age are very fragile work. Personally over my visits to The Brooklyn Historical Society during this semester class, I had the opportunity to research actual primary sources such as the Gabriel Furman journals and many others. 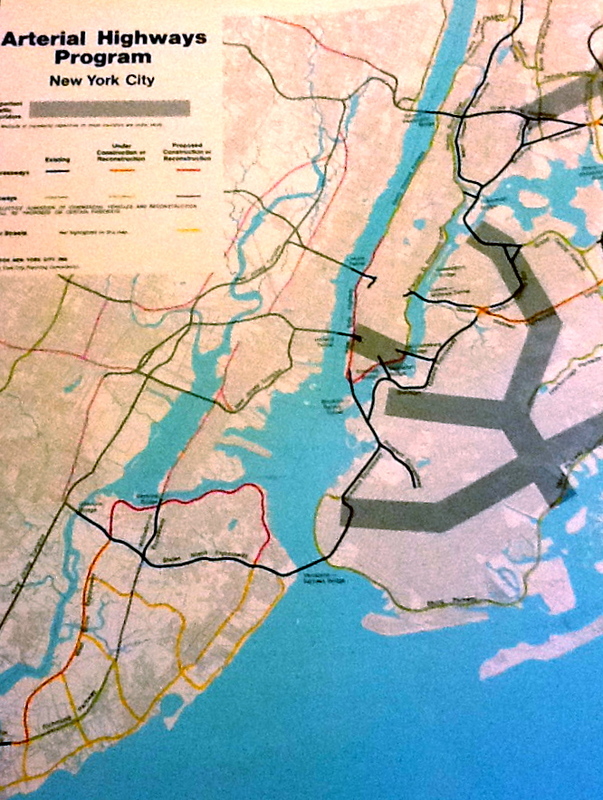 Maps of the Future of New York City, Brooklyn Historical Society. Since I was able to actually touch and read from first hands the primary source, I feel that the physicality that one can find in an actual archive is the main difference from an Internet base file host. As I ones said, “Since the beginning of the 21st century the world has gone through rapid changes that have affected every aspect of our lives. Such changes can be noticeable in the way we acquired knowledge or simple things as the way we interact and communicate with other people…” this brings up the fact that The Brooklyn Historical Society incorporated the digital technology in order to work together with their existent organized and categorized physical content they had in their historical library. 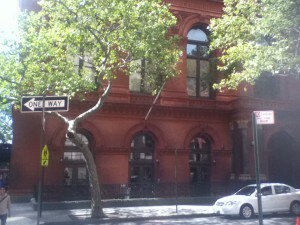 Besides the overall experience of seen historical work on the library, like many other libraries’, historical society’s (including The Brooklyn Historical Society) and museum’s have digitalized, scanned and uploaded to online catalogues similar to similar format used by file host websites, which anyone can access and see (most of the time) a small proportion of the actual collection of work that this institution have. 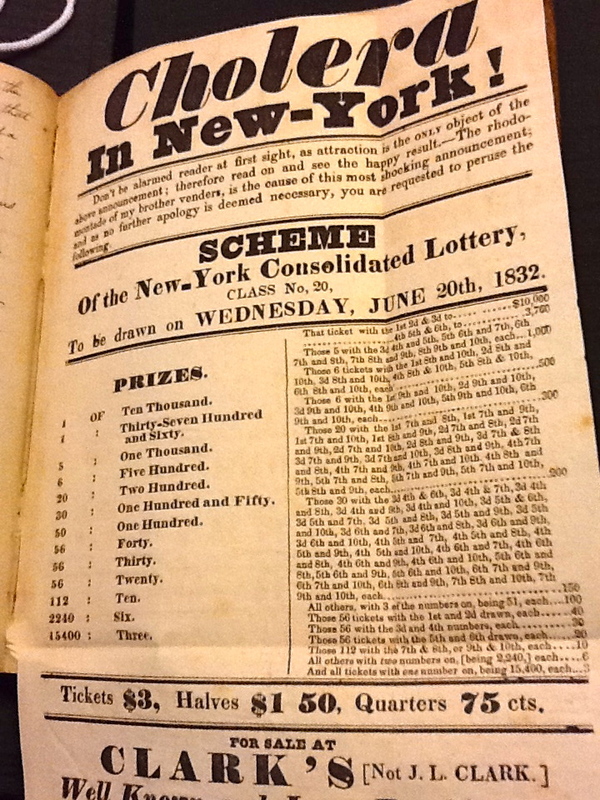 During one of my visits to The Brooklyn Historical Society “… my group and I, had the opportunity to learn a computer base research software, which according to the librarian its host more than eight thousand photographs and many digital images of archival object raging from oral archives (interviews) to actual furniture…” the digitalization of film images, or the photos of an antique furniture opens the endless opportunity to the actual archived of real objects in an digital age world. •	Notes and Memoranda, volume 6, 1831- 1832; Gabriel Furman papers, ARC 190, Box 2, Folder 2, Brooklyn Historical Society. But from digitalizing physical objects (film photographs, furniture) to 18th century Atlas, comes the materialization of digital context. Anyone who owns an account with drop box or any other file host site, would automatically own their personal archive whether the files (images, videos ect…) are their property. Yet one might think that the same situation occur when we are situated in a historical online archive. The main difference is that the context that is upload on a historical website still have the same property protection as the physical objects that can be found in the institution facility’s. In addition to property rights, digital files can sometimes not be stored forever in the Internet duo to problems cause by websites failures that can leave to data lost. A similar situation can happen to a physical place where the context are exposed to fire and many other situations that can led to damage of the actual work. The good news is that in many organizations such as The Brooklyn Historical Society digitalized their archives by photographing or scanning the context as well as by preventing the destruction of such value objects by putting water sprinkler. In addition website such as Dropbox we have limited free storage, making the processes of archiving our files to a selective amount we upload. In addition to the limited amount of free space, file host have. In the end every visits to The Brooklyn Historical Society was an unforgettable experience full of knowledge and discovery. Looking back at my visits, to the opportunities this institution offers to students (and anyone) from any discipline (in my case (an architecture student) an opportunity to research in any topic, using any of their extensive archive information. 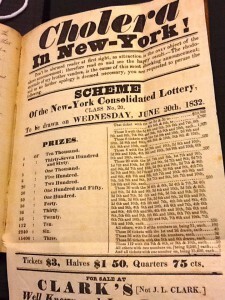 For me, the experience during my visits to The Brooklyn Historical Society and viewing primary sources, brought me to the conclusion that in future research’s and project one most first start discovering the past and simultaneously research the future (and the contemporary). Tejeda, Fernando. “The Only Thing We Get Are the Bills!!!! | ENGL 1101: Fire, Disease, Disaster: Catastrophe and the Shaping of Urban Public Space.” Web log post. City Tech OpenLab | Home. 09 Oct. 2011. Web. <https://openlab.citytech.cuny.edu/firedisease/2011/10/09/454/>. Tejeda, Fernando. “Has Memory Achieved Its Full Capacity? | ENGL 1101: Fire, Disease, Disaster: Catastrophe and the Shaping of Urban Public Space.” Web log post. City Tech OpenLab | Home. 25 Sept. 2011. Web. Dec. 2011. <https://openlab.citytech.cuny.edu/firedisease/2011/09/25/has-memory-achieved-its-full-capacity/>. Web log post. City Tech OpenLab | Home. 18 Oct. 2011. Web. Dec. 2011. 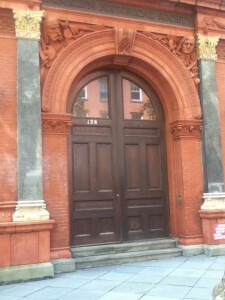 <https://openlab.citytech.cuny.edu/firedisease/2011/10/18/brooklyn-historical-society-and-its-research-methods/>. “The Future of Brooklyn | ENGL 1101: Fire, Disease, Disaster: Catastrophe and the Shaping of Urban Public Space.” Web log post. City Tech OpenLab | Home. 08 Nov. 2011. Web. Dec. 2011. 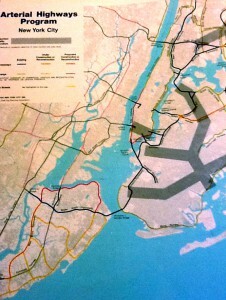 <https://openlab.citytech.cuny.edu/firedisease/2011/11/08/the-future-of-brooklyn-2/>. 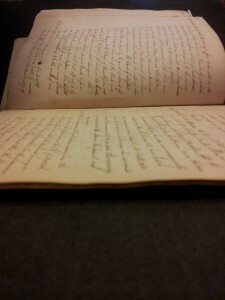 Notes and Memoranda, volume 6, 1831- 1832; Gabriel Furman papers, ARC 190, Box 2, Folder 2, Brooklyn Historical Society. As school begun and we were introduced to the Brooklyn Historical Society I never would’ve thought it might have interested me like it did. The BHS has very special feeling and just by its looks it stands out from the rest of the building. Its eye catching color and its amazing exterior design makes for a very appealing structure. The BHS alone holds a special place in Brooklyn as it’s labeled a landmark. We all didn’t experience the same things but we were all exposed to a part of Brooklyn most people don’t see. This varied from maps, diaries, photos, and even death records. Specifically we focused around fire, disease, and disaster which all had plenty of affect in Brooklyn’s history. The Fire part of the semester was surrounded on the infamous burning of the Brooklyn Theater. In the disease section we were exposed to all the different diseases that shaped Brooklyn and how was formed due to them. With the disaster part it was mixed between both topics due to the fact that they both caused chaos in the society. Although it might not look like it really had any effect on us currently living but reality it had a major affect. To the extent of how buildings were constructed even placed to reassure those tragedies won’t happen again. Furthermore the most interesting maps I saw in the BHS were located the Slum clearance Atlas. In this Atlas many things were included from different years and how things changed. Not only did it include that but small details which I was very surprised to find. For example a map of Manhattan at that time which shows where was there the most death of children under the age of two. This was such a stunning map it left me speechless and question what the purpose of this map was. Also it showed the same map over 30 year span. In these maps you could see how Manhattan was changing and how it was adapting to the mass number of people that migrated. Most residents of Manhattan were living in slums and this lead for an easier spread of disease. Another set of maps that we took a look at were from the Brooklyn Theater fire. As a group we choose three different atlases all around the same area, but they all were from different dates 1874, 1877, and 1884. We wanted to see how the area was ten years before the fire, one that had the closets date before the fire, and a few years after it. While we were looking at the atlas from 1877 we were able to see the demission’s of the structure. We could tell that it was very narrow building and could connect what were the problems and why so many people died. It only had two exits one was the main entrance and the other to a back alley which was an even tighter and harder to escape. Now we can understand why people panicked to get out which lead to a bigger disaster and to some an ultimately doom. During our first class reading we read about a woman with the name of Lucy Kolkin. Lucy wrote letters to her husband called Alfred Kolkin, in these letters she wrote about her daily life. She would write with passion and all love with the slightest detail, you can feel as if she is having a conversation right in front you with Alfred. We continued her letters in the BHS but this one was hand written and very sensitive. Like the others this letter also had extreme detail, but was harder to read due to the fact that it was in script. She wrote asking her husband whether it would be a good idea to move out there and be closer to him. 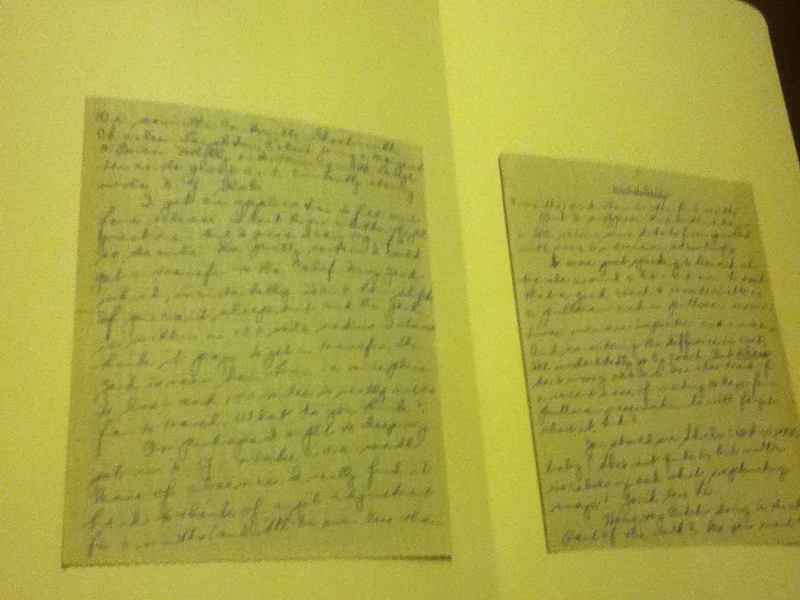 In these letters you can see how people interacted during that era and have many similarities to our generation. These letters can even be used to base with the maps and see if they have any relation where Lucy lived do to her financial income. An author by the name of Jorge Luis Borges who wrote a story called “Funes the memorius”. He wrote about a boy named Funes we suffered a misfortune and lead to curse he demised. The curse he received was the ability to have an extraordinary memory which he stored all unnecessary details. Anybody would discard and not hesitate to forget what shape was a cloud, but for Funes this was something that couldn’t be avoided and some days it was based around his whole day. Like Borges writes “each reconstruction had itself taken an entire day” he would spend endless hours trying to piece together something from the past. This has some similarities to the BHS were documents are stored that include many things that aren’t really useful, but they can help us piece together how people from those years lived a daily life. All these documents and stories show how important is to keep information regarding the past. With those documents we can help improve how we live and advance in the future. During our visits to the BHS I never understood how historic documents really helped in anyway. Now that I have had experience with maps, photos, and even some personal diaries I can respect its meaning and what they truly stand for. Documents should be kept for an entirety so maybe some teenager like me in the future can read and hopefully captivate what I extracted from them. I would recommend anyone to visit the BHS and interact with the all the facilities they have to offer. I will in fact make more trips and extend the research we have started in our class. Going to the BHS for the semester has become a rather surprising pleasant experience and hope that more classes in the future would follow the same steps to make classes more interactive. Whether you realize it or not the Brooklyn we know and love today is not nearly the same as Brooklyn over a hundred years ago. Throughout the decades many events have taken place that helped Brooklyn form into what it is today. Although catastrophic, fires have played a great role in the way Brooklyn has changed. Fires have helped change the way architects look at the buildings as a whole. They have learned from mistakes in previous designs brought to sight by the incident of fires. From changing the materials and methods of construction, fire codes along with safety rules and regulations, and to the overall design of buildings, architects have found ways not to prevent fires but reduce the time the building itself meets failure. On December 5th, 1876, the Brooklyn Theater had caught fire. At the time, it had held its maximum capacity of a thousand people. The cheapest seats were the balcony seats, located at the top with a staircase that allowed only one way to enter and exit. These seats were made of wood, a material that was commonly used at this time in construction and design. Although architects also often used masonry, wood was incorporated in almost every single building. Wood is a very flammable substance and can catch fire and transport fire without difficulty. The main cause of fires in this time period was due to building materials, and unorganized methods to control fires. Architects have become smarter in their methods of incorporating the proper building materials used in a building and their methods of construction. Today, one commonly used material in buildings is brick or masonry. Brick is a very structural and fire resistant material. It comes from the earth, it is compact, and uses heat to become its final stage. Now buildings can prevent the spread of fire by using two wythes of brick to create a party wall; a party wall is the wall that separates the two buildings using brick. Architects also use brick because it becomes a very modular way to construct which means faster and cheaper way to repeat building forms. Although brick is the most common material used in design it is not the only one that is available to architects. There is still wood, steel, stone, and concrete. Most buildings still use wood but there are different ways to slow down the spread of fire. Fire stopping is one way; this involves a variety of materials which impedes the fire transmitting from one material to another. There are fire retardants, platform vs. balloon framing, fire blocking to prevent the transport of fire, etc. Also if you incorporate wood with another type of material it will slow down the transportation of fire. However, architects have the option to use more resistant materials, either steel or concrete. Steels melting point is very high, as well as concretes. There are many ways to fire proof steel, for example, using intumescent paint, enclosing it with gypsum board (sheet rock), and cementicious spray. Buildings, today, still use wood and brick, but the Underwriters Laboratories fire rate items now. Architects may incorporate items into their design rated by the UL listings to see how long till the item meets failure. How the UL listing produces these ratings is by taking the item for example a door, and placing it in a test facility. They then shoot fire balls at it and calculate approximately how long it takes for the door to fall off its hinges. The National Fire Protection Association, or NFPA, work with architects to clearly explain the systems along with the building components required to get occupants out of the building. In other words, construct the building codes to let architects know what is needed for a person to safely exit a building. The NFPA inspects buildings after fires to see what might have gone wrong. Then use this information to create rules that will be used in building codes to let architects know what is allowed and what is not. Also, if there were one or more deaths, the NFPA inspectors find out what the cause was and approximately how long it took for the person to die. The Brooklyn Theater fire only had one entrance and one exit for their max occupancy of a thousand people. Now, codes state that if the space occupies a certain number of people, there must be a specific number of entrances and exits. The evacuation plan for the Brooklyn Theater was not thought out well and there were not enough exits for the buildings occupancy number. The New York City building code requires a minimum of three exit doors for five hundred to a thousand people. If there were more exits, many more people would have got out safely. A tragic but well known disaster was the September 11th bombing. Although tragic, many codes have emerged from it. In 9/11, the occupants used the stairs to get out and there were no lights to see where they were going and a vast amount of smoke. In result, the code now states that there should be an elusive tape that is six inches above ground in stairways so that a person is aware of where they are headed. The designs of buildings are greatly affected by codes. In the document set of buildings, there is a specific drawing titled, “Fire Egress Plan.” This plan shows the ways to exit the buildings in case of a fire, how big each walkway is to ensure a safe exit, and the number of exit doors available. The documents also incorporate the different materials used and how to assemble the building. Architects have become very efficient in the ways they prevent catastrophic events. Fires are just one of many tragedy’s architects try to avoid. From choosing the appropriate building materials, obeying the building code, and to the final design of the building, we can clearly see how architecture has positively progressed over the last century. Technology is constantly progressing along with the ways to ensure occupant safety. 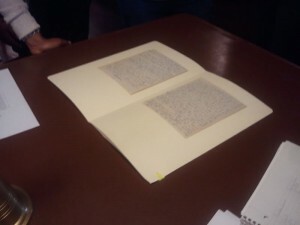 On my final visit to the Brooklyn Historical Society my group viewed the Gabriel Furman papers. These papers were pretty interesting being it was sort of similar to our online blog post, however, during his time period he did not have any computers to generate a blog post as we do today. On one page we looked at a list of people who died in result of some diseases, and on another we read about a very descriptive fire. The writing was so descriptive almost as if he were there at that very moment jotting down what he was seeing. I feel this was a good way to leave the BHS because the pages that were given to us to view pretty much summed up our theme which has been Fire, Disease, and Disaster and how it has helped shape Brooklyn. On our last visit at BHS I read about a fire that happened at the warehouse in brooklyn. It depicted the author’s view of exactly what happened there, suggesting that he himself was present. He told us about how the fire men came in and did what they could to try and sustain the fire, but to no avail. The whole event proved to be disastrous for the warehouse as most of its inventory was burnt. This writing talks about the “fire” in our course and how ways to extinguish fires have now changed. Posted on December 8, 2011 by Isaias G.
I will be writing about how the method and detail in which things have been chronicled over the years, using the Gabriel Furman journal’s as one of my sources. This assignment has been designed to help you gain experience in revising your work and synthesizing your ideas as you write a comprehensive review of your experiences at the Brooklyn Historical Society this semester. Remember to give your post a title and to include a Works Cited list at the end of your post.